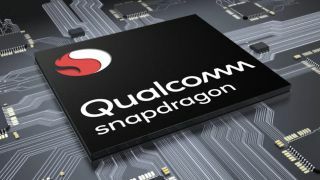 Qualcomm has just announced the Snapdragon 670, its mid-range successor to the Snapdragon 660 (found in the likes of the Nokia 7 Plus and BlackBerry Key2), and it sounds like an improvement in a lot of ways. The chipset has eight cores, two of which are performance cores clocked at up to 2.0GHz, while the other six are efficiency cores, clocked at up to 1.7GHz. Overall it should offer up to 15% higher CPU performance and up to 25% faster graphics rendering than the Snapdragon 660. This should lead to a smoother interface, faster app launch times and better gaming experiences. But AI performance sounds like it has been given even more of a boost, with Qualcomm claiming that it’s up to 1.8 times better. Camera performance also looks to have been improved. The Snapdragon 670 supports single-lens cameras of up to 25MP and dual-lens ones of up to 16MP, and should do a good job of noise reduction. Phones with this chip will also be able to shoot slow motion footage in better quality while using less battery than they would with the Snapdragon 660. Plus, 4K video recording should use 30% less power, so you can shoot for longer. Multimedia is a big focus for the Snapdragon 670 too. It supports displays with FHD+ resolution, as well as hi-fi audio and both 4K video capture and playback, complete with features like surround sound recording. It’s not yet known which upcoming phones will use the Snapdragon 670, but we’d expect it will start turning up in upper mid-range handsets soon.